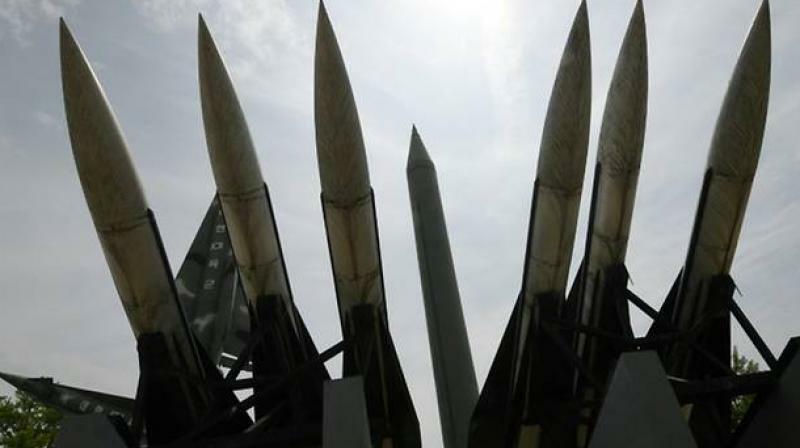 United Nations: North Korea's nuclear and ballistic missile programs remain intact and Pyongyang is using airports and other facilities to shield its weapons from possible US military strikes, according to a UN panel of experts. The panel said in a report seen by AFP on Tuesday that sanctions against North Korea were "ineffective," with Pyongyang still able to acquire illegal shipments of oil products, sell banned coal and violate an arms embargo. "The Democratic People's Republic of Korea's nuclear and ballistic missile programs remain intact," said the report, using the official name for North Korea. "The panel found that the DPRK is using civilian facilities, including airports for ballistic missile assembly and testing with the goal of effectively preventing 'decapitation' strikes." The confidential report was sent to the Security Council as President Donald Trump prepares for a second summit this month with leader Kim Jong Un that the United States hopes will yield concrete progress in dismantling Pyongyang's weapons programs. But North Korea has resorted to illegal transfers of oil, fuel and coal using a network of ships at sea to circumvent the UN-imposed measures aimed at depriving Pyongyang of revenue to build up its weapons programs. "These violations render the latest United Nations sanctions ineffective by flouting the caps on the DPRK's import of petroleum products and crude oil as well as the coal ban imposed in 2017," said the report. "The panel found that DPRK ports and airports are used for rampant violations of the resolution ranging from illegal oil imports and coal exports to the smuggling of bulk cash by DPRK nationals," said the report.